WMW 17 May 2016: Recycled antifreeze has a lower carbon footprint than virgin, according to a study commissioned by Indiana based ORG CHEM Group, a specialist in the distillation of heat sensitive materials. 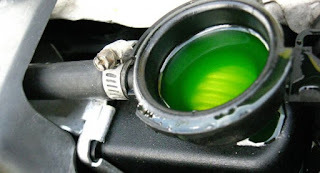 The newly released study compared Carbon Footprint of Recycled Antifreeze vs. Virgin Antifreeze by analyzing energy consumption from the two processes. According to ORG CHEM fleet managers can help meet their organisations' scope 3 greenhouse gas emissions reduction targets by purchasing recycled antifreeze. However, the company added that due to data limitations, a cradle-to-grave comparison was not possible, making the comparison..." read on.